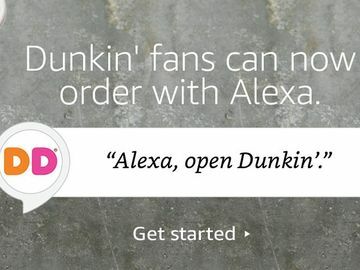 It’s been an exciting few weeks here at Dunkin’ Donuts. On Tuesday, December 17, we celebrated the grand opening of our first restaurant in the UK in Harrow, a borough in north-west London, England. 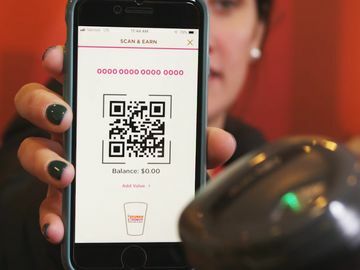 The special event included fun activities and giveaways, a ribbon cutting ceremony and appearances from members of Dunkin’ Donuts leadership team, Dunkin’ Donuts UK franchisees and local dignitaries. 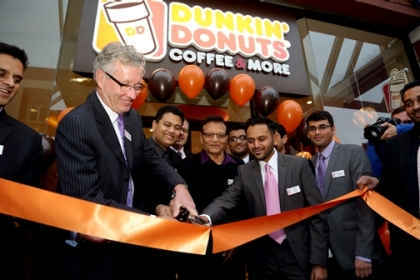 The festivities kicked off Tuesday afternoon, with Dunkin’ Brands Chairman and CEO Nigel Travis leading the ribbon cutting ceremony alongside Dunkin’ Donuts franchisees, Ram Javia and Neil Patel, and Jim Johnstone, General Manager, UK, for Dunkin’ Brands. 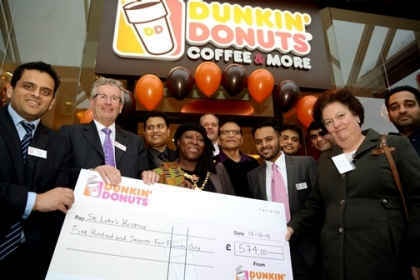 Next, a check was presented on behalf of Dunkin’ Donuts and our local franchisees to Harrow-based St. Luke’s Hospice. 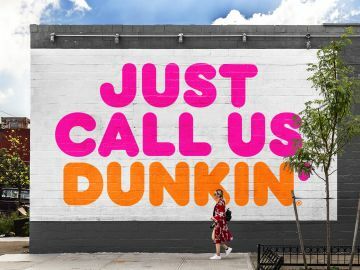 The donated amount of £574 signified the number of dozen donut boxes sold during the opening weekend, with Dunkin’ Donuts and our franchisees each donating £1 per box of dozen donuts sold. To help present the check to representatives of the non-profit organization, Harrow Mayor, Councillor Nana Asante, joined us. Located at 51 St. Ann’s Road in Harrow, this restaurant features our new, international restaurant design concept and includes digital menu boards and free Wi-Fi access for guests. 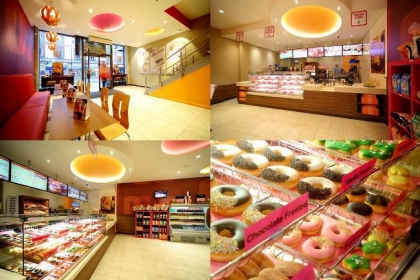 It also offers comfortable seating on both levels of the restaurant, and a front facing bakery case to display our delicious Dunkin’ Donuts bakery items. 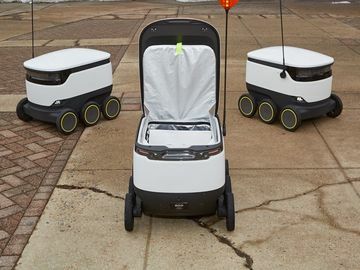 To celebrate this opening, there was a DJ playing music and there was even a photo booth brought in for guests to enjoy and take pictures in a donut-shaped frame. After taking pictures, guests were encouraged to share their fun photos on their social channels using the hashtag #DDSmile. 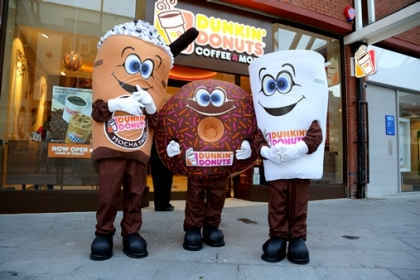 Our wonderful mascots, including Iced Latte, Sprinkles and Cuppy were also in attendance. 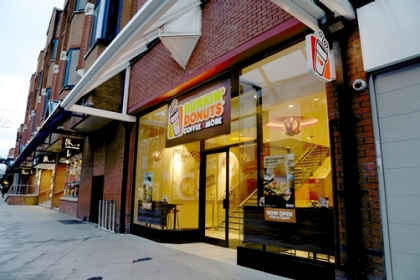 Lastly, a select number of guests were given free coffee and free donuts for a year.